Gifting is a wonderfully sweet part of the festive season, particularly when they are well-picked and well-received. Gifts do not (and arguably, should not) have to be grand gestures of wealth; they can be humble things that bring joy and make people smile. When it comes to gifting, I aim for simple and useful; things that can be eaten, used, or experienced. I try to pick items I know the receiver has expressed interest in and wouldn't necessarily buy for themselves. For the trickier gift purchases, I aim for practical items that can be used up or put to good use. Wherever possible I look for handmade and homemade options, and even second-hand where appropriate. 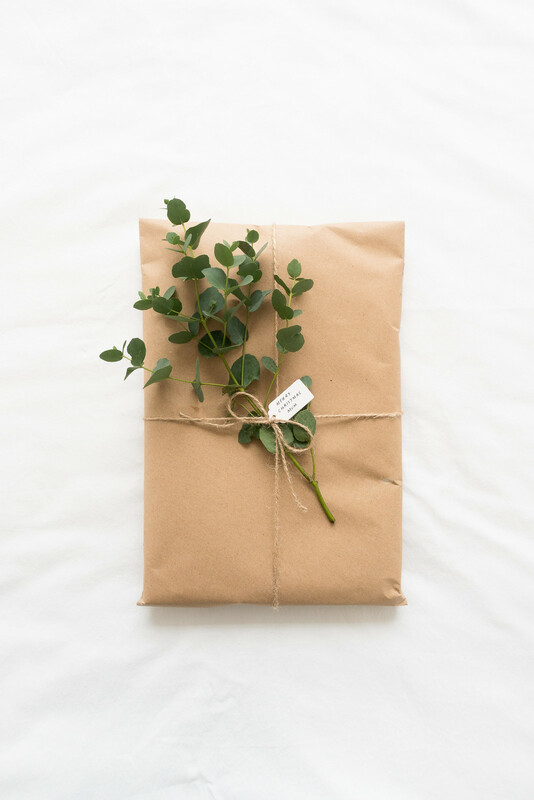 These are my go-to gift ideas that happen to be low waste and sustainable so you can skip the waste this festive season and still offer gifts that are worth gifting. Take a look at the the fashion, beauty, and homewares directories for sustainable places to shop. There are countless consumable gifts you could bestow on your loved ones. These gifts are often the easiest and yet most loved, especially if you make them yourself. You could purchase loose leaf tea or coffee beans; local beer or wine; maple syrup, flavoured olive oil, marinade olives, or chocolate from a bulk store and package them up yourself in beautiful jars or hand decorated bags for the receiver to use again. Alternatively, you could make hot sauce, pickles, dried herbs, jam, candied nuts, biscuits and other tasty treats, at home for gift giving. A fantastic way to swerve the problematic issue of gifting more stuff you’re not sure will get used is to gift an experience instead. Memberships to local museums and galleries; tickets to a movie, performance, or concert; classes for learning a new language or skill like ceramics or art; subscriptions to a service or app you know they use, or a reservation at a local restaurant they love are all well-received gifts. If you’re confident in your knowledge of someone’s home decor style, homewares make wonderful gifts. A set of good knives, crafted wooden spoons, a fresh press or teapot and strainer; reusable baking mats, a set of mason jars, or a mortar and pestle are all useful gifts. You could purchase (or make) beautifully scented candles in reusable glass jars or a diffuser with a set of essential oils. Or gift handmade ceramics, throws, or cushions - if you know that’s something the receiver will enjoy. Pampering ourselves isn’t at the heart of self-care, of course, but these little luxuries are a gentle reminder that we should be kinder to ourselves and make more time in our routine for self-care. Scented candles, sugar scrubs, a bath bomb, facial oils, a fluffy dressing gown and pair of slippers are obvious candidate gifts for someone who deserves a relaxing night in. Alternatively, you could gift a spa reservation as a luxurious treat for a special someone. Books are (almost always) gratefully received by anyone you gift them to; whether you purchase a special hardback edition, a secondhand paperback, downloadable eBook, or a subscription to an audio book service. Plants make beautiful gifts that, as they continue to grow, remind the receiver of the gift-giver. You could gift a hard-to-kill houseplant for the burgeoning plant admirer or a hard-to-find specimen for veteran plant collectors. Herbs make wonderful gifts, if the people you know aren’t so keen on the non-edible varieties. For those people you’re not sure should be encouraged to own more plants; pots, stands, and hangers all make great gifts. 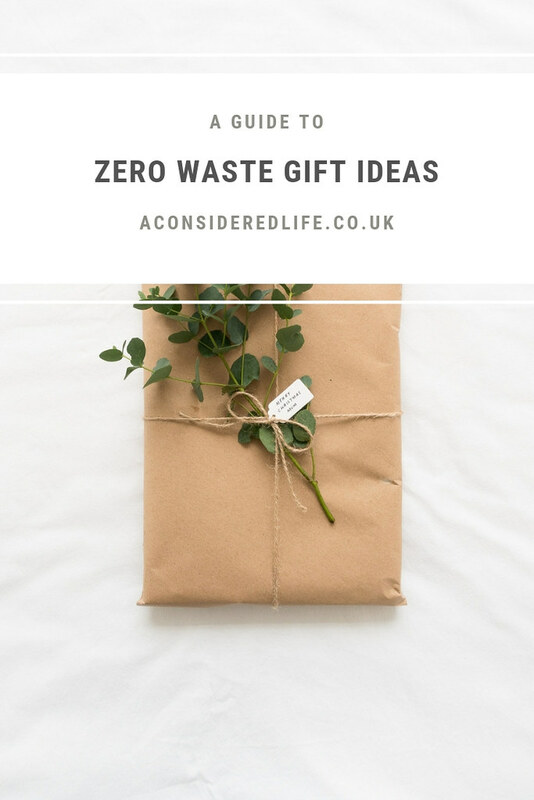 If you know someone who is keen to reduce their waste and adopt more sustainable habits, gifting a few zero waste essentials would be a wonderfully thoughtful way to encourage their interest. A basic starter kit would contain a to-go coffee cup and/or refillable water bottle; cloth napkins; travel cutlery and wrap; reusable straws; and a lunchbox with snack pots. A market tote, produce bags, and a set of jars would be useful gifts for someone already invested in low waste living. What gifts are you planning to give this year? Share your zero waste gift ideas in the comments.